– The application is expected to be unlimited as the RFID/USN related industry rapidly develops. 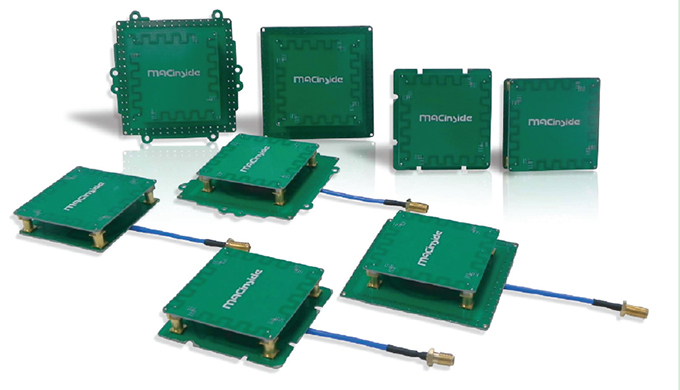 MAC technologies Inc. specializes in manufacturing wireless communications components such as RFID antennas, repeaters and ceramic filters. The company’s long experience and mature technical know-how in antenna tuning will provide you with components that can significantly improve the reliability and stability of your mobile communications devices and electronic equipment. The factory in Korea can produce 100,000 components every month. [INQ. NO. 1310C05]Seong Jae-bok, president of Sejong Materials Co., Ltd. (www.sejongmaterials.co.kr) was awarded the 57th Trader of the Month Award for his contribution in leading Sejong Materials toward becoming one of the leaders in the PCB for LED TV BLU and monitors. 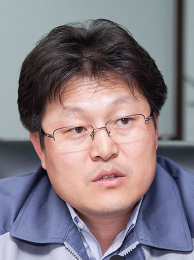 After working as a technical sales chief in Aluminum (currently changed to Novelis), Seong Jae-bok founded Sejong Metal back in 2000 to provide aluminum applications. Predicting the rapidly changing market needs, he added an LED lighting division in 2007, laying a foundation for the growth of Sejong Materials. With the production capability of aluminum processing and MCCL, Sejong Materials has grown into a company specialized in manufacturing metal PCB which is necessary for LED TV and LED lighting by obtaining core technology through continuous management innovation, technology development, and investing activities. The company is also engaged in manufacturing and supplying not only parts but also exterior materials for TVs, interior and exterior materials for cars, exterior materials for electric and electronic home appliances on the basis of its processing technology for raw materials. Sejong enjoys continuous growth both at home and abroad. For the past five years, the company has seen its sales increase by 20 percent every year and predicts this year’s sales will surpass 95 billion won. Export is also on a constant rise. In 2012, the company was awarded the Five Million Dollar Export Tower, following the One Million Dollar Export Tower in 2010 from the Korean government. The company’s technology is well recognized by supplying products to prominent companies such as Samsung, LG, Seoul Semiconductor and Lumens in manufacturing metal PCB for LED lighting using its aluminum raw materials and surface treatment, costing, production of MCCL. Currently, Sejong Materials’ main business areas are within the following four categories? PCM products, MCCL (Metal Copper Clad Laminate) and Metal PCB for LED TV BLU and LED Lighting. – PCM: Sejong Materials has remarkable aluminum coating technology, based on which the company can produce PCM products offering excellent visual clarity and a wide range of color display for Samsung, Panasonic, and LG Display. Filed Under: Computers Tagged With: LED TV BLU and Monitor, PCB, PCM, Sejong Materials Co. Ltd.
A printed circuit board known as PCB uses conductive means to connect electronic components. The board is widely used for most of electronic devices. Good examples are quite near us, and they are found in a computer main board and a computer mouse. And for a PCB’s stability and performance, it must go through a testing process which involves many different types of PCB testers. SM POWERTECH, knowing what consequences the testers can bring to finished products, introduces auto PCB testers that customers can rely on. The year 2004 greeted the birth of SM POWERTECH. Since them, the company has been manufacturing a wide range of precision and measurement instruments including automation system machines. Its quality products are credited by such certificates as ISO 9001 and 14001 from ANAB (ANSI-ASQ National Accreditation Board). SM POWERTECH product lineup is divided into three big categories: Tester JIG, Reliability Tester, and Customizer Automation Machine. For tester jigs, air-press type jigs as auto PCB tester can measure voltage and current and its Pin Board is easy to operate by using air pressure. Equipment air press and general air press type is a function tester for mobile systems like battery protection modules and battery packs. Manual type jigs have height control lever type which is portable and has adjustable lower board height, lock guide type that use a lock guide for operation and is suitable for sampling tests, and level type that uses a level handle to operate the Pin Board. Taking a look at SM POWERTECH’s reliability testers, you can find Cell Grading Tester, Tension Force Tester, Bending Strength Tester, Drop and Peel Tester. And Customizer Automation has Solar Systems and Develop Automation System. You can find more information at eng.smpowertech.com/index.asp. If you want more information about ‘PCB’, please contact us.